New Construction End Unit One Level Living Townhome by USA Builders. High End Quality Craftsmanship and Attention to Detail on this Model Unit. Enjoy Open Floor Plan, Vaulted Ceilings, Stone Gas Fireplace, Sun Room with walkout to deck, Large Master Suite with Vaulted Ceilings, Amazing Master Bath (separate soaker tub & tiled shower) Gourmet Eat In Kitchen with Upgraded Appliances, Custom Maple Cabinets with soft close doors and Beautiful Birch Hardwood Floors. Lower Level is finished! Huge Storage Room. When Mick Jagger and Keith Richards wrote the words, “You can’t always get what you want” in 1969, somehow I don’t think they saw 1907 W 49th Street, Minneapolis coming. Sure, the Rolling Stones got a lot of things right. But they certainly missed the mark on this one.Especially when you say, "Alexa, I'm home!" and your home instantly responds by truning your lights, the tempature and TV to the perfect setting and so much more... You have to see it to believe it. on Lake Harriet Parkway... You won't find anything else like it. With a modern flair, added to this traditional style of home found in the neighborhood. We've paid close attention to every detail, in respect to the history of this magical neighborhood... While at the same time giving you all the luxuries of today's trendy aesthetic. Imagine hosting wine and cheese nights or Easter brunch in your own eat-in-kitchen. Your guests will have trouble choosing what custom touches to comment on first. While at the same time bossing "Alexa" around to see all the cool technology hidden inside your home. Your kids will finally be eager to invite their friends over for that sleepover. You'll even find them coming home early Friday so they don’t miss out on Friday game nights at home... With the rents (short for parents). Perfect for weekend BBQ’s, 4th of July parties or just another Saturday night on the grill. The rare added feature of a roof-top deck, atop a hard to find two car attached garage, creates an instant indoor/outdoor living space you can enjoy almost year-round. Invite your in-laws over and watch their jaws drop as you serve them mimosas and frittatas on your outdoor oasis. When winter comes and the weather chills - There is even more to enjoy. Gather friends and family around your customized fireplace, an ideal hangout for Thanksgiving dessert, Christmas hot toddies or hot chocolate on a cold January night. Spend hours swapping funny stories of holidays past. Or, sing along as the local pianist plays a few favorite holiday chords on your grand piano in the music room. After the holiday meal is served and desserts are savored by the fire, your guests will be content to cozy up in one of the many spare rooms upstairs. There’s plenty of space for everyone to stay awhile. Hidden away in your master bath, you and your loved one can warm yourselves in the large soaking tub made for two. Enjoy hours in your spa-like master suite - reveling in the comforts of home and family; you have worked so hard for all these years. Also, did we mention this Contemporary Home is available in a 5-Bedroom, 4-Bath floor plan? Forget the Hewing Hotel. Give your friends and family their own 5-star getaway, where even small trips to the bathroom will feel like luxury living. Each detail is hand-crafted to delight and amaze. It’s the perfect home you have been dreaming of - in the kind of neighborhood even your parents couldn’t imagine for you. It all starts with south minneapolis school - Known for innovation, technology and high college entrance rates, rest assured your kids are in the very best hands here. But they’re not the only ones. From the monthly art exhibits at Minneapolis Institute of Art to The Minikahda Club, you’ll have plenty to do. The best thing about living in this location... You are just a few steps from walking some of the most beautiful trails and enjoying everything city lake living has to offer. The Lynhurst neighborhood of Minneapolis offers your family a first-rate kind of life. You see, some people are just content to live near the Minneapolis lakes, enjoying the shopping, dining and soaking up the many other benefits of living in a sought-after town. Others understand that dream living doesn’t end at your front door. You need a dream home to make your lifestyle complete. If you can answer “Yes” to any of these, then this Prairie Style Contemporary, Minneapolis, MN new-construction home is perfect for you. Wait, I almost forgot. A one-of-a-kind home isn't that without a SECRET ROOM. We challenge you to find it!! Thank you! We'll be in touch with you soon to answer your questions and set up a showing. Look No Further .... Welcome Home!! Meticulously Maintained Home that is Move In Ready! Enjoy spacious open floor plan with vaulted ceilings, large stone fireplace & Eat In Kitchen - great gathering/entertaining area. Perfect main floor office for days where you need to work from home or "alone time". New Roof, Fascia, Siding & Appliances are an awesome bonus! Relax upstairs in Master BD with Private Bath, Spa tub & separate shower. Upstairs offers additional 3 bedrooms and another full bath. Lower Level is unfinished with a walkout to the back yard. Possibilities are endless here -- Great for kids play area & storage now. Garage is insulated and heated - nice for projects & toys. Take a "Time Out" and sip your favorite drink out on the deck or patio and enjoy the rest of summer, beautiful landscaped yard with flowers/perennials is a bonus. Great Neighborhood, Close to Everything!! Located in western Dakota County, Farmington is about 30 miles south of Mpls/St Paul airport and Mall of America. Farmington is a growing community that offers small town charm with unique suburban city offerings. Close in proximity to Lakeville, Apple Valley and Rosemount. Farmington is located in School District #192. The district's curricular and extra-curricular programming support their development as active, vital members of the community. Welcome Home to Sophisticated Living in the Historic Downtown St Paul. This Riverfront Condo Complex has entertainment, dining, shopping & events all at your fingertips. Enjoy the Mississippi Bike & Walking paths right outside your door where you will experience nature at its finest. This updated unit is a perfect fit for any lifestyle. Enjoy sunsets and entertaining on the balcony patio overlooking the St Paul Skyline. 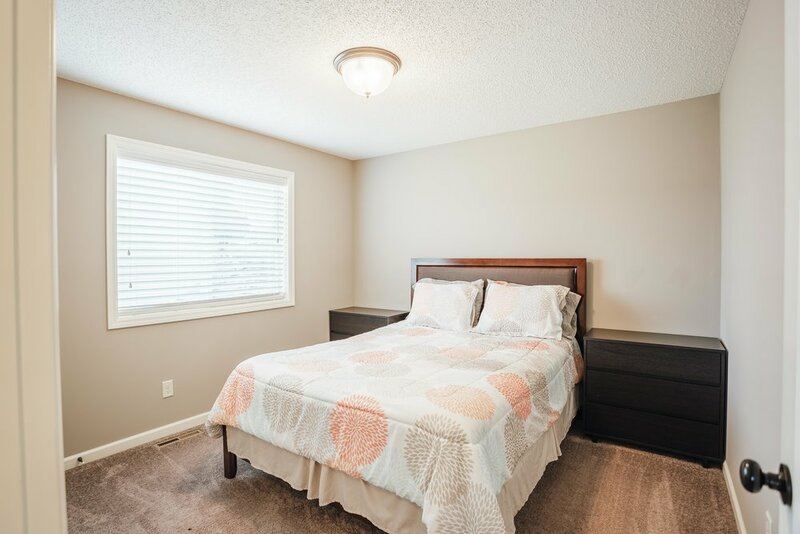 This Building is fully secured and has heated underground parking for your convienance. Life in Saint Paul flows deep with tradition, wide with talent and diversity, and strong with economic and cultural vitality. Our character is in our people. Saint Paul, the head of navigation of the great Mississippi River, is a City of neighborhoods. Like a network of urban villages, our neighborhoods are strong and stable, each with its own fascinating texture of historic interest, cultural landmarks, ethnic heritage and time-honored traditions. This is why people lucky enough to live here feel a remarkable sense of belonging, a sense of place. Executive Elegant Townhome Overlooking the 11th Hole on Hollydale Golf Course. 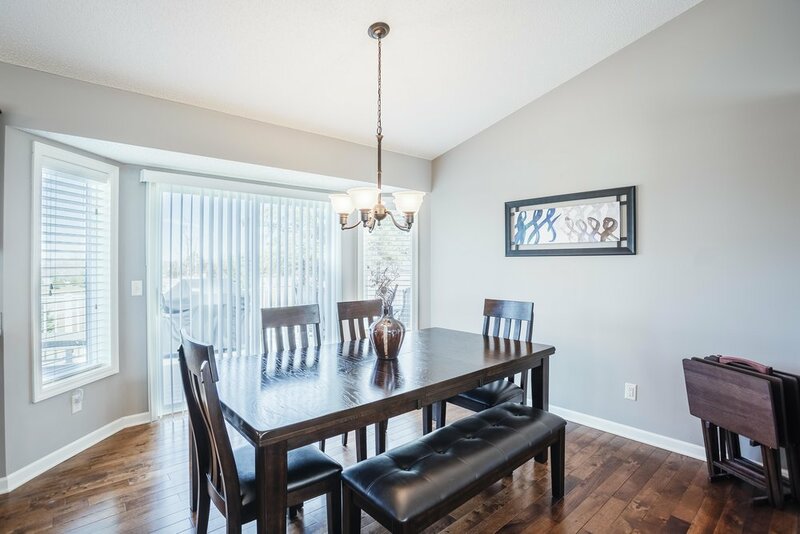 Welcome Home to this Upscale Townhome where main floor living with this open floor plan is simple & easy. 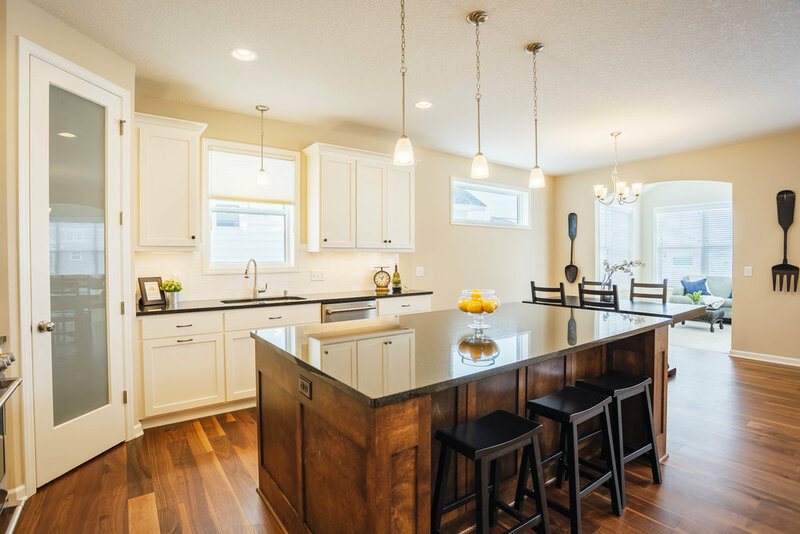 Gourmet Kitchen is the perfect size and has a great flow to it, stainless island & appliances compliment the granite countertops to make cooking in this kitchen a win win for everyone! 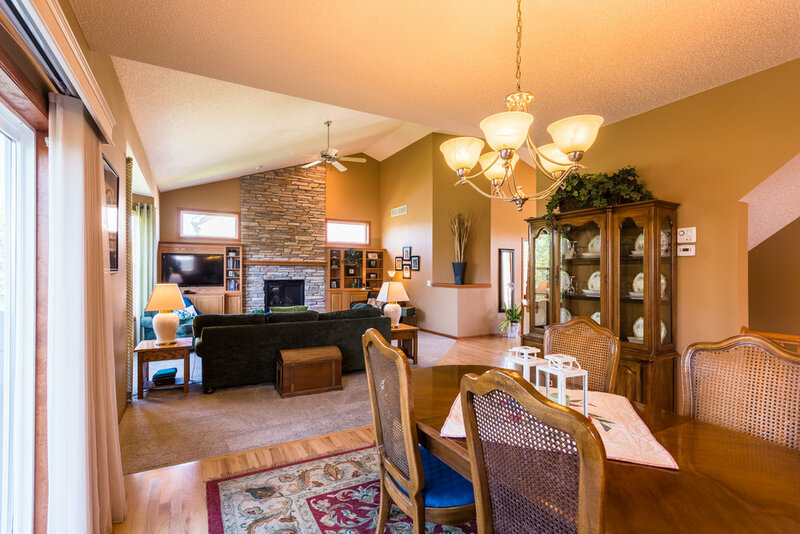 Living Room is great for entertaining, vaulted ceilings and windows makes this room feel open and inviting. 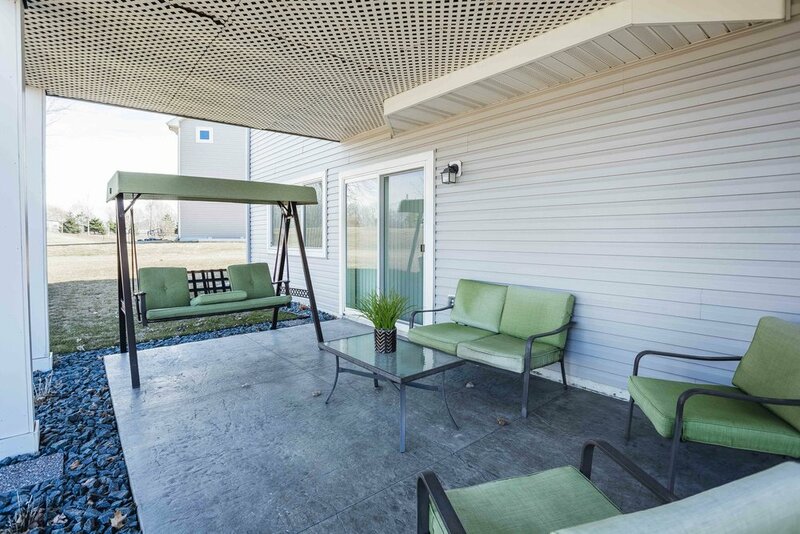 Sun Room/Deck are the perfect way to relax after a long day overlooking the lush green golf course. 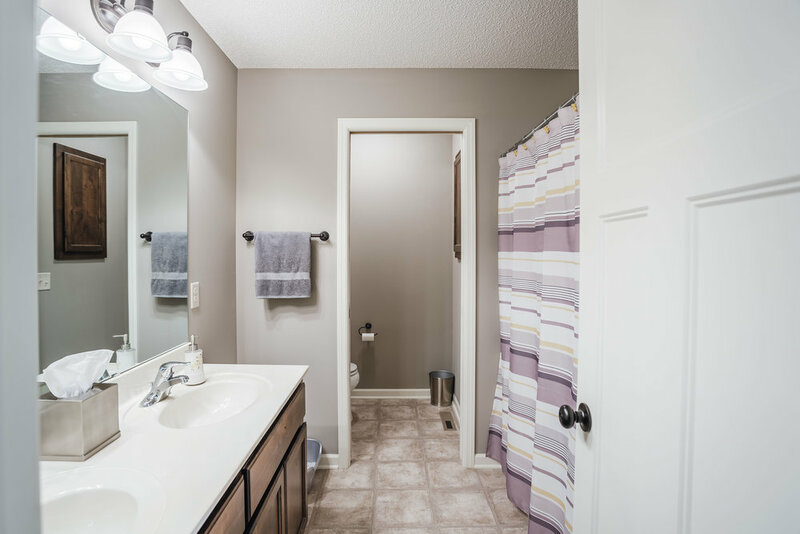 Enjoy private mainfloor Master Bedroom & Bath -- Custom bath with soaker tub and tiled shower plus dual vanities makes busy mornings a breeze to get ready in. Huge lower level walkout family room has built in wet bar and patio to enjoy summer BBQ's or Entertaining. The City of Plymouth was named Money magazine’s number one Best Place to Live in 2008. The city stayed in the top dozen when the magazine repeated the rankings in 2010. Perfect Home for the Investor or Do It Yourselfer!! Put your DIY Skills, Ideas & Creativity to the test on this HOME. Lots of potential with the ability to reap the rewards of EQUITY! Corner Lot on Cul De Sac in Prime Neighborhood in IGH. Close to Schools, Shopping, Parks & Freeway Access. 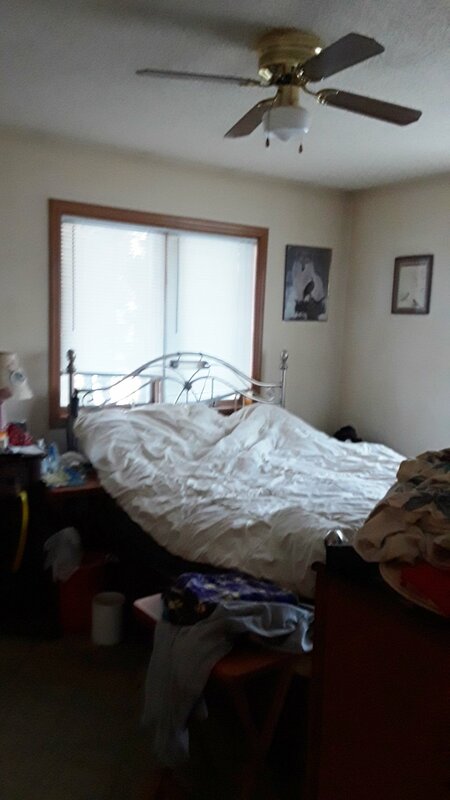 3BD (possible 4th in Lower Level) 2 Full Bath, 3CG 1750 total sqft. 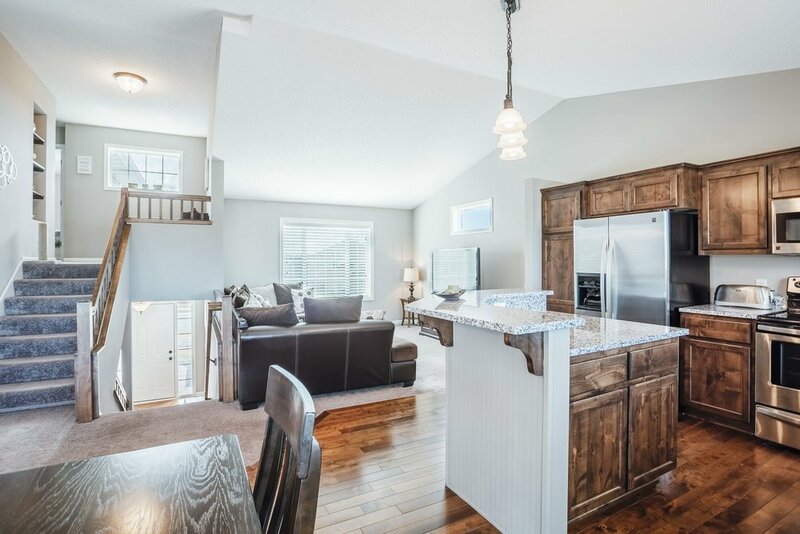 Home features include Vaulted Ceilings, Spacious Eat in Kitchen with Walk Out to Deck. Enjoy private wooded backyard with firepit. Lower Level is perfect for entertaining with custom wet bar area and gas fireplace. HUGE Master Bedroom that could be converted into a 4th bedroom or office. Bonus Features: New Roof 2017, New Furnace & Water Heater 2016. 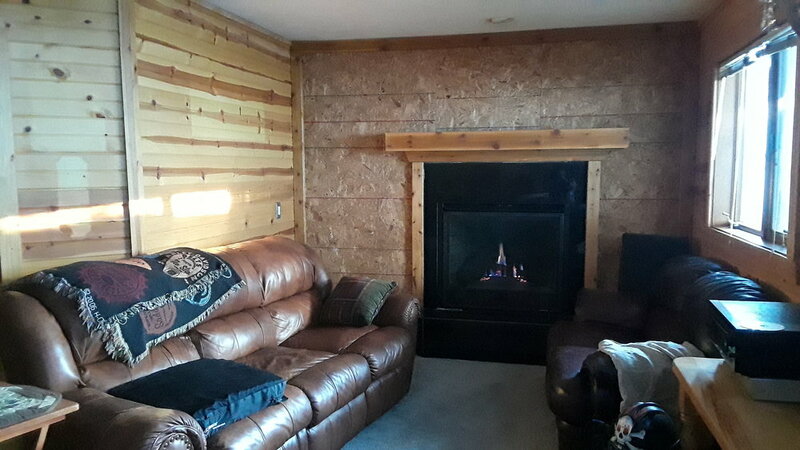 Heated & Insulated 3 Car Garage is perfect MAN CAVE -- lots of storage space. 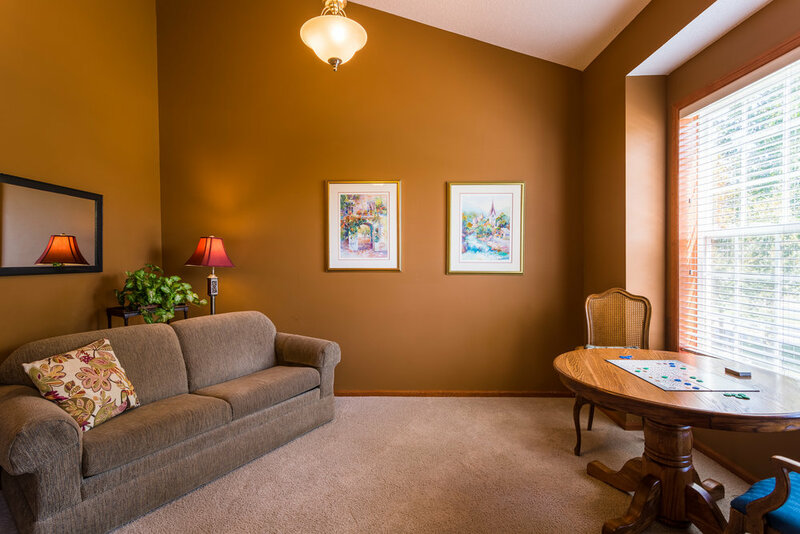 Gain Instant EQUITY with Updates, Paint, Carpet & MORE Possibilities are ENDLESS! Going on MLS for $245,000 -- Seller says "Bring Investor Offers"
Inver Grove Heights is home to approximately 30,000 residents who have chosen this area whose boundaries expand over 28 square miles of rolling wooded terrain that provides for an engaging mix of residential dwellings and commercial facilities. In addition, the schools, park facilities, community center and golf course are among the Twin Cities best. Located in Northern Dakota County, Inver Grove Heights is in close proximity to the Mississippi River Valley, which provides a beautiful natural setting and year-round recreational activities. Lakes, ponds, and wetlands cover many areas of the city. Located in School District #199, IGH is known for their Award Winning School System and carries a strong tradition of excellence. While the district continues to be strong, it must look at developing that next generation of Schools to ensure it is meeting the needs of the students of today as well as those it will serve tomorrow. Through customized learning, innovative programming, and a commitment to partnership, the IGH Public Schools are focusing on the needs of today’s learners with an eye to the future. Beautiful Turn Key Home located in School District #196. Homes features a large eat in kitchen with center island, newer stainless steel appliances & double oven. Private master suite with whirlpool tub and large walk in closet. 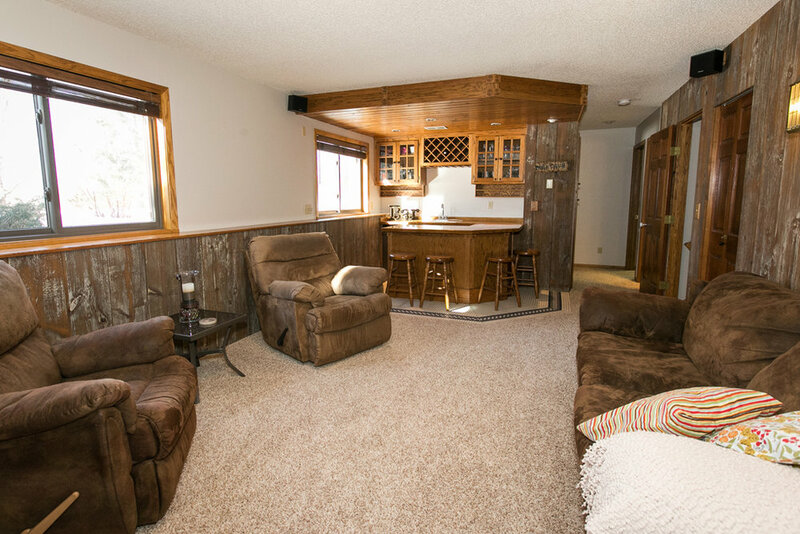 Finished cozy lower level with fireplace and wet bar is perfect for entertaining with family & friends. 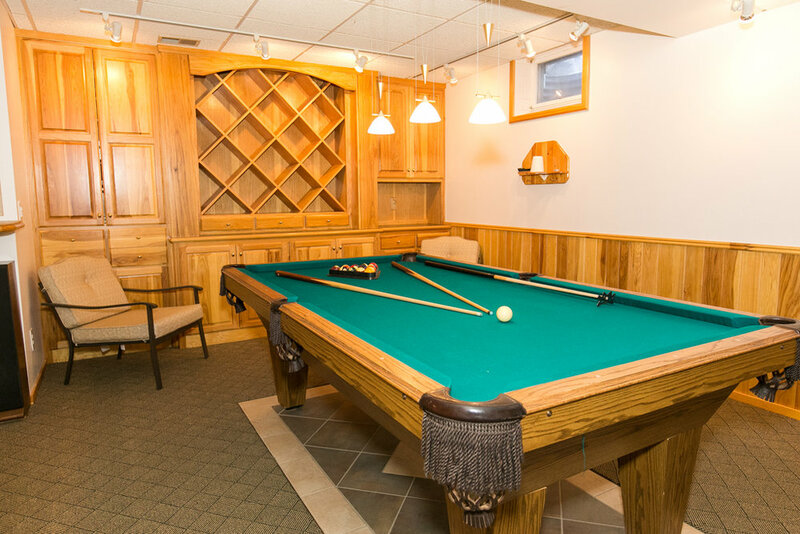 Bonus Billiard Room with Pool Table & Dart Board! Huge fenced in yard is landscaped and has a fire pit. Close to Lebanon Park that has endless biking & walking trails. The City of Eagan is the largest city in Dakota County, Minnesota. Its landscape is made up of rolling hills, laced with more than 1,200 small lakes, wetlands and ponds. Eagan is a community known for its trees. It is the 8th largest city in the state with just over 67,000 people. Eagan is south and equal distance to both downtown Minneapolis and St. Paul. Just across the Minnesota River is the Minneapolis-St. Paul International Airport. Located in School District #196, Eagan is known for their Award Winning School System and carries a strong tradition of excellence. While the district continues to be strong, it must look at developing that next generation of Schools to ensure it is meeting the needs of the students of today as well as those it will serve tomorrow. Through customized learning, innovative programming, and a commitment to partnership, the Eagan Public Schools are focusing on the needs of today’s learners with an eye to the future.